Runic Games may have closed late last year shortly after releasing the gorgeous action/adventure game Hob, but that doesn’t mean the end of the Torchlight franchise. 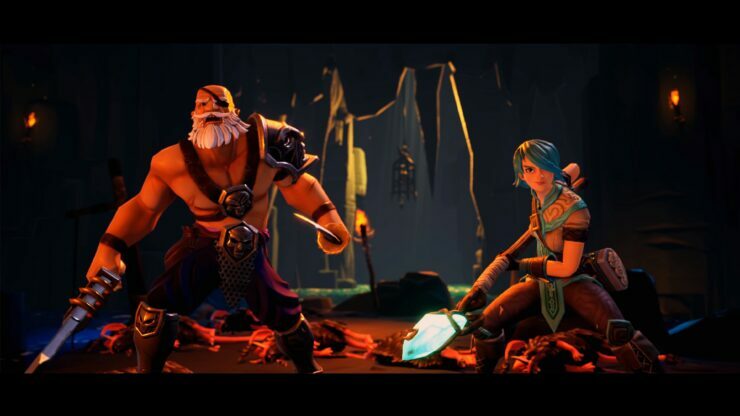 In fact, out of the blue Perfect World Entertainment announced Torchlight Frontiers, in development at Echtra Games, a San Francisco-based game studio founded in early 2016 by former Runic Games CEO Max Schaefer. Perfect World Entertainment has had a strong working relationship with Max Schaefer, dating back to the original Torchlight game, and we believe in his vision to evolve the Torchlight series. Max has put together an all-star team of developers, and we continue to be amazed by the sheer level of talent and wealth of experience that they bring to Torchlight Frontiers. We’re proud to have Echtra Games as a part of the company. Evolving the Torchlight universe into a shared world has always been a goal for the franchise, and I’m excited that we’re finally able to make it a reality. Torchlight Frontiers will be a living, breathing universe that will still feel uniquely Torchlight, while we add our own creative spin to the game. The team is building something truly special, and we can’t wait for fans to play it for the first time at Gamescom and PAX West. We don’t know much about the game, other than the following blurb. Truth to be told, Runic Games did have plans for a Torchlight MMO a while ago before they shelved. This seems like an evolution of that project. You may already sign up for the beta test on the official website. The full game is expected to be available in 2019 on PC, PlayStation 4 and Xbox One.